A 17-year-old teen was placed under arrest and charged with alleged attempted murder after assaulting a woman Tuesday afternoon. According to the San Joaquin County District Attorney's Office, Dulce Anel Rios will be charged as an adult. Rios appeared in court in Stockton Wednesday and faced one count of attempted murder and one count of robbery. There were allegations of a use of weapon attached to both counts, according to the district attorney. Lodi Police Department officials said that officers responded to a call about an assault that happened in Beckman Park off West Century Boulevard around 3:08 p.m.
An investigation revealed Rios struck the 22-year-old woman "several times in the head with a baseball bat," according to police. The assault appears to be random, police said, as the victim and Rios had no known connection. A 17-year-old teen is under arrest, charged with alleged attempted murder after assaulting a woman Tuesday afternoon. An investigation revealed the suspect struck the 22-year-old woman "several times in the head with a baseball bat," according to police. The assault appears to be random, police said, as the victim and the suspect had no known connection. The victim was transported to a nearby hospital where she remained in critical condition with head injuries according to Lodi police. The suspect nor victim have yet to be identified by police. A man with a gunshot wound was discovered in a commercial parking lot in Lodi on Wednesday. At about 11 a.m. the Lodi Police Department said officers responded to reports of shots fired in the area of Cherokee Lane and Victor Road. When officers arrived they found a man, who was pronounced dead at the scene, the department said. The police department and San Joaquin County Coroner's Office are currently investigating the shooting. 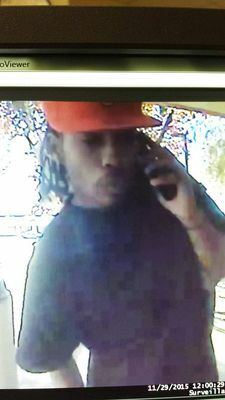 Lodi police are looking for three men suspected of stealing money from ATMs. The police department put out a call for help Tuesday notifying their followers that the three suspects had been loitering near the ATMs in the 700 block of West Kettleman Lane. The department said the suspects are able to scan a person's card data, then access the person's bank account. STOCKTON, CA - The Lodi woman who ran for congress last year, making claims she'd received death threats because of the campaign, has been accused of making up those threats. STOCKTON, CA - For any parent hearing the news back in July of 1994, there had to be chills. A 12 year old Lodi girl was tricked into opening the front door while her parents were away, she was kidnapped, and not found for about 20 hours. Twenty-one years later Katie Romanek is talking about what happened, how she struggled in the years following and how she wants to help other victims of violent crime. "I need to help, it's why I"m alive, it's why I wasn't murdered. That's why I"m here. Why else would I be here," said Romanek. "Doesn't matter if it's women or a child, I want to be there for them. I'll hold their hand and be there for them," she said. A man was killed and an officer was injured in Lodi during a shooting near Chestnut Street and Lee Avenue. The Lodi Police Department said two members of their special investigations unit were looking into reports that a wanted person was in a McDonald's parking lot at 200 W. Lodi Avenue. When they arrived at the scene, they found the suspect armed with a handgun.